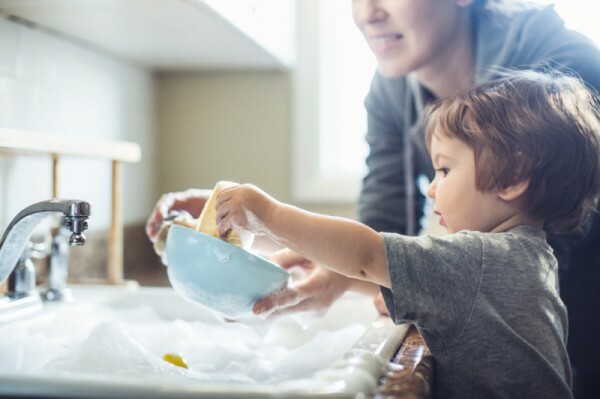 We all know toddlers love to ‘help’ and that often translates into mum or dad refolding clothes or re-mopping the floor. It makes sense for our little mimics to want to give us a helping hand at home but have you ever wondered if they’d do the same for a stranger? Melbourne honour student Meredith Allen and a team of researchers from Swinburne University of Technology’s Babylab conducted an experiment to find out. The result were this month presented to the 2016 Australian Psychological Society Congress in Melbourne. “We found children between 18 and 36 months are more likely to help individuals who they are more familiar with,” Meredith tells Babyology. She says the purpose of the study was to fill a gap she believed existed in previous research on the topic. “The best way to find a good honours project is to find a hole in the research and there’s quite a bit of debate as to whether children discriminate in their helping behaviour at all, and whether they are just born to help,” Meredith says. “There is theoretical debate as to at what point children learn to discriminate on who they help. Some research has been done but it is only in its infancy, so familiarity as an affect hasn’t been systematically investigated before. Meredith says the study looked at 46 toddlers (17 girls and 29 boys) aged 18 to 36 months, split into two groups at the university’s Babylab. “The children were allocated to one of two conditions, familiar or unfamiliar,” Meredith says. “Regardless of what condition they were in, they spent 20 minutes with one experimenter just playing and familiarising. Children familiar with the adult who dropped the peg were more likely to help – 45 per cent immediately picked up the peg and 32 per cent picked it up after some prompting. This is compared to 59 per cent of children who, being unfamiliar with the adult, made no attempt to help pick up the peg. “Often, well almost all the time, with the children who were completely unfamiliar, you’d have to go through almost all the prompts and then pick up the peg yourself because you were unknown to them,” Meredith says. Meredith tells Babyology one toddler was excluded from the study after picking the peg up and putting it in their mouth – now this is the type of toddler I am familiar with. She says she would love to build on her research in the future. “I loved the opportunity to work with children and do this research but, in terms of the findings, it gives a little piece in the jigsaw puzzle of how we understand the cognition around children helping,” Meredith says.